Demands on mobility are increasing worldwide. Especially China currently faces major challenges due to rapid social, economic and technological change. Urgent problems include devastating environmental pollution as well as substantial urbanization and internal migration. Chinese municipal governments have taken measures to decrease traffic in large cities, such as the expansion of the road and track network and the announcement of new rules for car traffic. In the long run, there are ambitious plans regarding the broad electrification and automation of traffic. 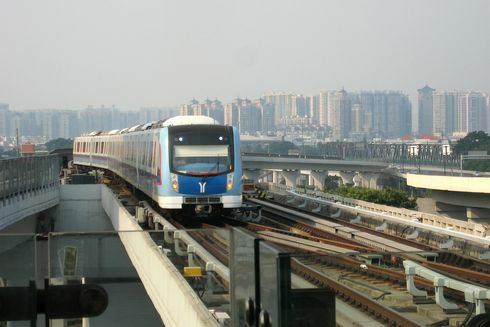 Still, for solving China’s pressing issues, dealing with infrastructure and mobility concerns now is of key importance. The workshop “Trends, Concepts and Challenges of China’s Innovative Railway Transport” in November ‘17 will bring together international actors from different fields to examine the current technological, scientific and economic questions in the context of geopolitical developments and strategies concerning mobility. Railway scientists, administrators, operators and logistics professionals will present and discuss their views on China’s railroad development. The workshop is planned as an invitational event - if you're interested in participating, please let us know via mic@china.tu-berlin.de and provide your name and affiliation. Thank you!